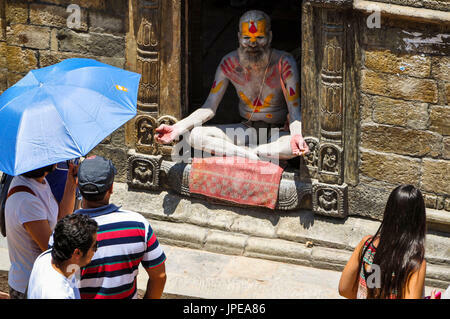 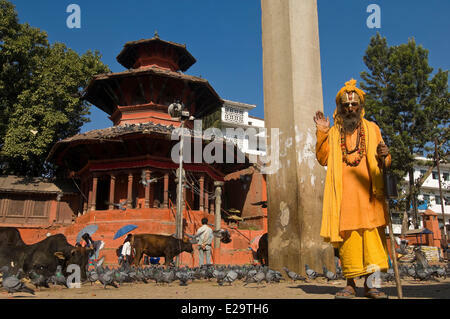 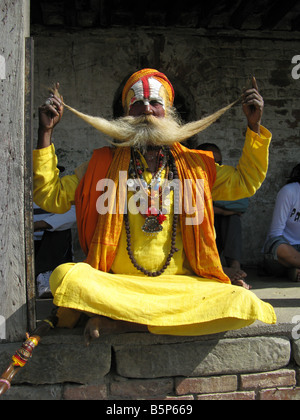 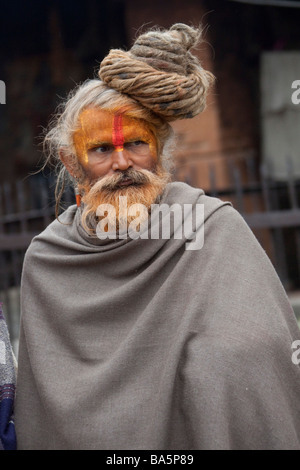 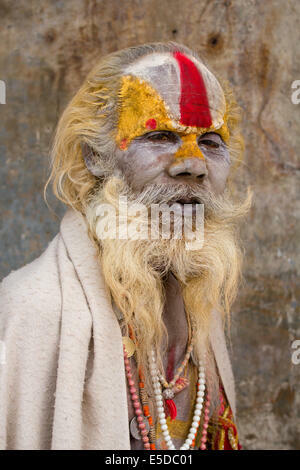 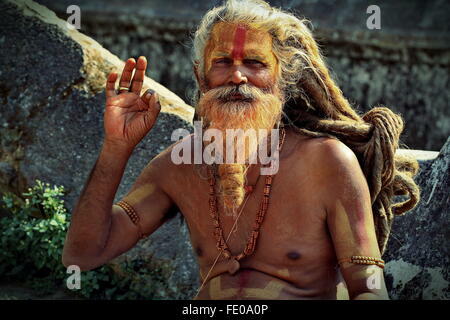 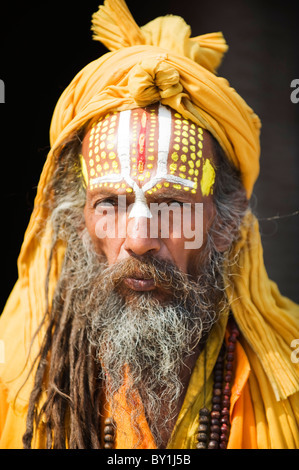 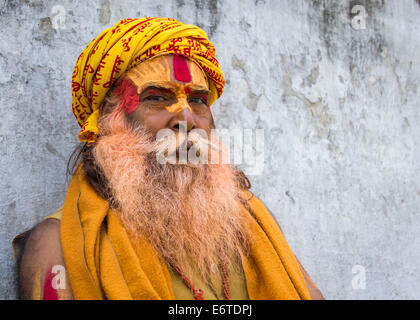 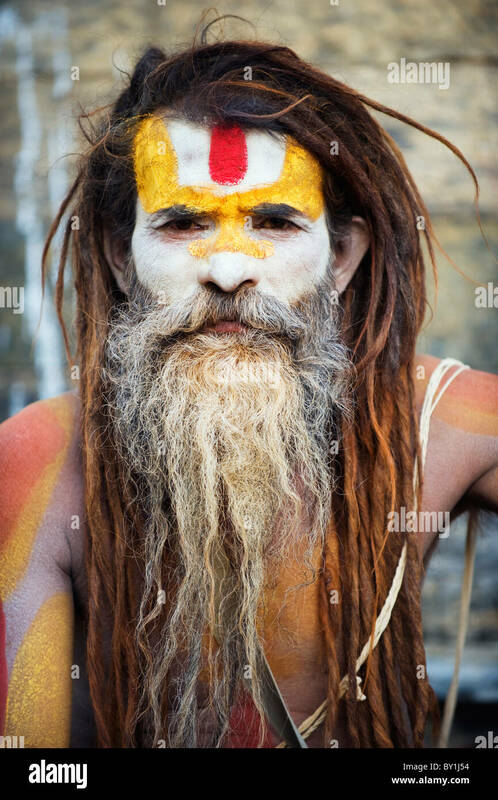 Portrait of a hindu sadhu (holy man) at the hindu temple complex of Pashupatinath, near Kathmandu, Nepal. 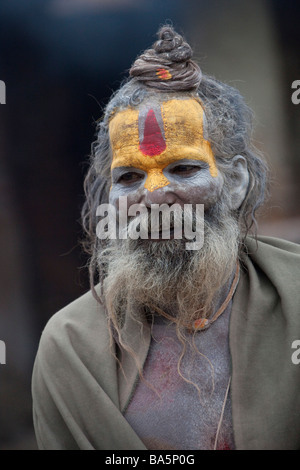 A Hindu sadhu (holy man), wearing traditional paint and a headscarf, at the Hindu temples of Pashupatinath, Kathmandu, Nepal. 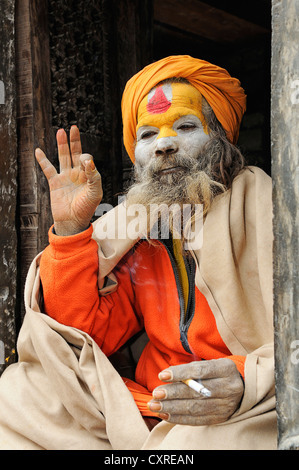 Nepal. 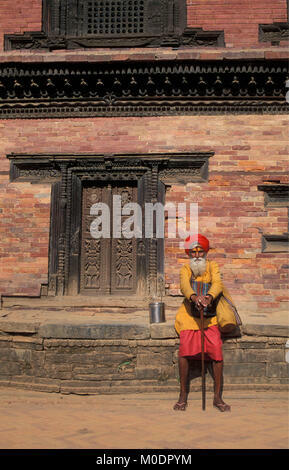 Kathmandu, Bhaktapur. 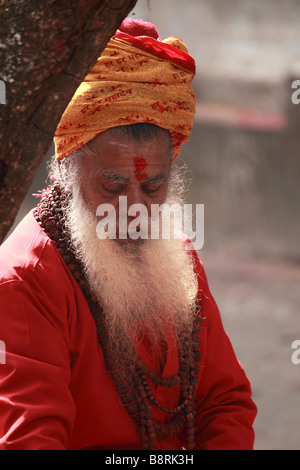 Sadhu (holy man) in front of temple (Hindu).